Spruce trees in a home landscape require little maintenance aside from adequate moisture. If you add mulch around the base of a spruce tree, you can conserve soil moisture and help a spruce tree to survive on even less water. Watch the needles of your spruce trees for indications of dehydration and promptly water them if you see discolored pine needles. Apply mulch in a 3-inch layer extending from the base of the tree to the drip line. Keep the mulch 3 to 4 inches away from the tree trunk. Check spruce trees weekly to see if the soil around the tree feels dry. Insert your finger into the soil beneath the tree approximately 2 inches deep. If the soil feels dry below 1 inch, it's time to water. Place the hose at the base of the tree and allow a slow trickle of water to saturate the soil beneath the tree. Allow the hose to run until the ground feels wet 1 to 2 inches beneath the soil level. Stop watering spruce trees in August. This will help the spruce trees prepare for winter. Watch surrounding deciduous trees to notice when these trees turn autumnal color. When deciduous trees change color, water spruce trees a final time before winter. Place the hose at the base of the tree and allow it to run in a slow trickle until water absorbs down at least 2 feet below the soil level. 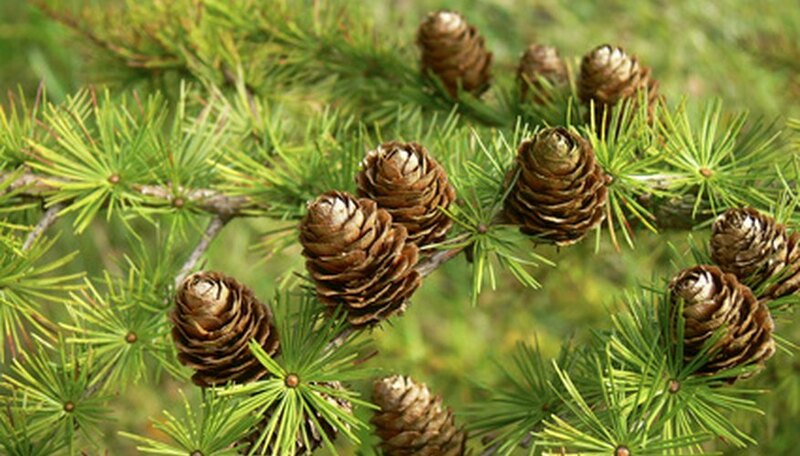 Water the spruce trees again in the spring at the beginning of the growing season in the same manner as you watered in the autumn, allowing a slow trickle of water to soak at least 2 feet below the soil level. Watch for discolored needles---especially in the spring. If you notice purple pine needles, this indicates dehydrated roots. Immediately provide water if you notice discolored needles.